Now showing at the GI Film Festival! Here’s a little video (mostly audio, actually) that I captured with my cell phone of the Q&A after the first showing of Year at Danger at the Austin Film Festival. It’s not a great video, but please don’t hold it against me. Steve and Don are the filmmakers, not me. If you’re in the Austin area this weeked, get to the Austin Film Festival. 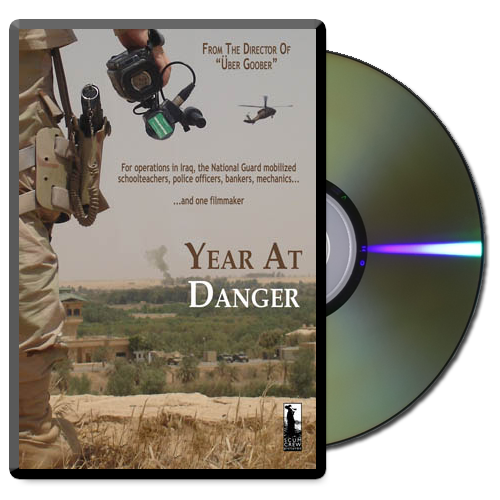 Aside from the other great films you’re bound to see, Year at Danger will also be showing! This is the official premiere, so make sure you get there before they sell out. So you know, Uber Goober easily sold out when it opened!